Your family can find a local Dog Guard®® dealer to help install and train your pet to your new out of sight pet containment fence. Your Dog Guard®® Dealer will guide you to the proper training methods to allow your pet the freedom to run within the boundaries you set in your yard. Your new out of sight dog can safely and effectively keep your dog in your yard. Veterinarian tested, approved and recommended, your Dog Guard®® Out-of-Sight Fencing® System can keep your pet safe. 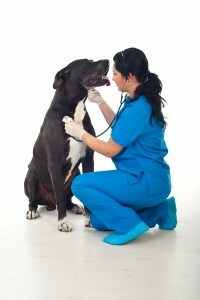 Veterinarian approved electric dog fences allow your dog the freedom to run without the worry. They say “Good Fences make Good Neighbors”, We say veterinarian approved electric dog fences make for happy dogs and happier neighbors. 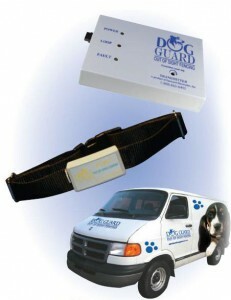 Dog Guard®® is your solution for electronic Pet Containment. Dog Guard®® is an American-made product and offers unparalleled customer service and the best electronic pet containment solution on the market. All Dog Guard®® electronic pet containment products come with a lifetime warranty and are completely assembled and tested in the U.S.A.
Dog Guard®® offers unparalleled dealer support, superior hands-on training and the Dog Guard®® lifetime equipment guarantee. You and your pet can enjoy the benefits of a Dog Guard®® Out-of-Sight Fencing® System for years to come! With Dog Guard®® your pet containment fence is Out-Of-Sight and the reasonable prices make installing an electronic dog fence your best investment in your dog’s health. Installation can be completed quickly and cleanly, not annoying your neighbors or damaging your lawn or interrupting your view. A majority of Dog Guard®® electronic dog fencing installations come via happy and enthusiastic referrals and testimonials of satisfied Dog Guard®® customers. Once you own a Dog Guard®® electronic dog fence and discover the value you will recommend Dog Guard®® electric dog fence products to your friends, neighbors and relatives. Your Dog Guard®® Out-of-Sight Fencing® System is maintenance-free, saving you time AND money. An electronic dog fence is better than traditional fencing systems which reduce your visibility and require costly maintenance and upkeep. After approximately 2 weeks of training with your electronic dog fence, you and your pet can enjoy the new found freedom provided by your Dog Guard®® System. Your dog will enjoy the industry’s safest and most effective Out-of-Sight Fencing® System making you and your dog happier year round. Your Dog Guard®® Fencing System will safely “keep your hound around” and out of trouble! “Runners” and “jumpers” can be seriously injured by traditional fencing, electronic dog fences allow for freedom of movement and reduce injuries.